A new statement by the Marxist-Humanist Initiative, followed here by two writings by Raya Dunayevskaya from her last period of work on the relationship between philosophy and organization. 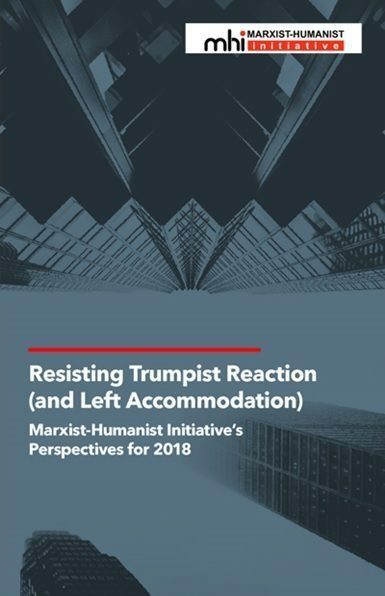 The Marxist-Humanist Initiative held a successful first Annual Conference in New York City on Sept. 26 and 27, nearly six months after our founding conference. The conference agenda appears in the announcement of the conference below. A major event that took place at the conference was our collective work on a new public statement. We have since finished it, and we publish it here. Our statement is followed by two writings by Raya Dunayevskaya that are discussed in the statement. They are from 1986, during the period before her death in 1987 when she was preparing to write a book on philosophy and organization—a subject she considered to have constituted a void in Marxism since Marx’s own writings. Her notes and letters from this period and unpublished writings from throughout her life are archived in the Wayne State University Walter P. Reuther Library of Labor and Urban Affairs and are available to the public. The MHI aims to continue her exploration of the relationship between philosophy and organization, in theory and practice. To see what we have produced as an organization, you may wish to read this statement in conjunction with our founding Principles and By-Laws, and our April statement on “Why a New Organization?,” all of which appear on this site and are also available in paper. We look forward to your comments, and we hope to activate those who consider themselves Marxist-Humanists – whether long-term ones who are re-thinking the relation of philosophy to organization, or brand new people who may decide to help Marxist-Humanism at this critical moment for the future of humanity. At a moment in which the world economic crisis makes the renewal and projection of Marxist-Humanism more crucial than at any time in recent history, the very future of this philosophy hangs in the balance. If current trends continue, it could well perish within the next decade. This crisis of Marxist-Humanism can be seen in the alarmingly lopsided demographic composition of the organizations that call themselves Marxist-Humanist. Twenty-two years after the death of Raya Dunayevskaya, what is needed is not only what was needed then, a collectivity to continue Marxist-Humanism after her death, but a collectivity to continue Marxist-Humanism after the death of those who knew her. However, the membership of these organizations is predominately late-middle-aged and elderly, there are extremely few people in the 35–55 year-old age group, and the organizations also lack a substantial core of young people. “Only live human beings can recreate the revolutionary dialectic forever anew,”  but how many members will still be alive and well in 10 years’ time? So even when the matter is viewed on this most prosaic level, it appears doubtful that Marxist-Humanism has a future. But the demographic crisis is only a symptom of a deeper crisis––the lack of concretization and development of Marxist-Humanism since the death of Raya Dunayevskaya. The philosophical crisis stems principally from the fact that, after her death, News and Letters Committees did not make it a top priority to create a collectivity of people able to concretize and develop Marxist-Humanism collectively. On the contrary, the retrogressive view took hold that it was sufficient, even desirable, for the organization and its members to act as placeholders until the next “genius,” by some mystical process, appears from out of nowhere. So did the mystical faith that “ideas have wings,” in other words, that the philosophy of Marxist-Humanism can survive and even experience ongoing development––without a conscious, organized effort to develop them collectively––simply by individuals getting their and/or Dunayevskaya’s works published and hoping for the best. And the frequent use of the term “philosophy” to mean a bare set of beliefs clung to as sacred, or a worldview (Weltanschauung) that achieves a spurious “totality” by remaining abstract and threadbare, made the lack of ongoing development seem something less than a matter of life and death for Marxist-Humanism. Given this use of the term, people seemed to be “practicing philosophy” in the absence of such ongoing development. On a still deeper level, the crisis is structural, organizational. To attribute organizational failings to the wrong ideas of individuals in an organization is to succumb to the genetic fallacy of attempting to account for a phenomenon by identifying its origin (genesis). This is a fallacy because the question is not why wrong ideas were there at the start, but why they were never corrected and rooted out, instead growing to such a point that the philosophical problems reached the point of crisis. The answer is that the organizational structure caused these problems to be continually reproduced. Retrogressive notions went largely unchallenged in News and Letters Committees because, for the sake of so-called “organizational unity,” a “big tent”/lowest-common-denominator approach was practiced. But under this big tent, there was actually disunity, though it was obscured by a kind of “peaceful coexistence” of opposed positions and ideas. This is in diametrical opposition to Absolute Method, which “allows no opposites merely to coexist peacefully or, to use Hegel’s words, to come ‘before consciousness without being in contact,’ ‘but engages all in battle.’”  Because the former approach was practiced, the organization attracted new people, to the extent it attracted any, who were like the existing members––people who were comfortable with the organization the way it was, people whose interests were served and whose perceived needs were met by it––while repelling others. The ongoing reproduction of this dynamic allowed such members either to remain or to become the majority. And the combination of majority rule  and the “big tent” approach had a disastrous consequence: in combination, they turned the organization into one that served the interests and met the perceived needs of its individual members instead of working to achieve its own avowed goal, the continuation of Marxist-Humanism through the creation of a collectivity of people who take responsibility for continuing the philosophy . In the theoretical realm, we have had great success. It has not been a quick or easy process, but we have finally identified the structural deficiencies and we have analyzed how they caused the philosophical ones to be reproduced. We have sought to correct the structural deficiencies––above all, we have sought to create an organization that is able to work toward the achievement of its avowed goals, rather than to serve the different interests and perceived needs of individual members––and to do so without sacrificing democracy or imposing hierarchy. Creating an organization that works toward the achievement of its goals is easy; so is creating a democratic organization. The hard part is to unite these two things. Although not necessarily right for other times or places, this method is needed to address and solve the current crisis in Marxist-Humanism. Because of undemocratic practices, described in “Why a New Organization?,”  that we recently endured in other organizations, we realized that it would be useless to endure this yet again. So safeguards were needed that protect the organization and its achievements against cliques and individual agendas. Without them, we realized, it would be a waste of time to contribute the hard work, time, and thought needed to rebuild an organization that does not exist in order to fulfill our personal aims, but is capable of working to achieve its own aim––the renewal of Marxist-Humanism by means of its collective concretization and development. Thus the safeguards we have developed and are in the process of implementing are a necessary precondition for the renewal of Marxist-Humanism at this moment. Yet, due to circumstances beyond our control, we may not be able to progress from theoretical success to practical success. Practical success requires financial resources that we currently do not have and, even more, it requires that others join with us in the effort to renew the collective organizational development of Marxist-Humanist philosophy. If we do not achieve success in the practical realm, it will be because others have not joined in this effort or helped us obtain the needed financial resources. We therefore issue this urgent plea to all those who continue to care about the future of Marxist-Humanism, and have not given up on the possibility that it may still have a future: Set aside whatever differences you may have with Marxist-Humanist Initiative, and join with us in the effort to rebuild an organization capable of renewing Marxist-Humanism by concretizing and developing it as a collectivity. As we discuss below, we take the concept of proof, of the testing of ideas, very seriously. So we acknowledge from the outset that something might be wrong with the analysis above, although some key elements of the analysis were published in our April 2009 founding documents (see footnotes 5 and 6 above), and we have not yet encountered an argument against them. We invite and encourage everyone to subject our reasoning to the strictest scrutiny and to discuss its possible errors, with us and publicly. We regard reasoned public criticism and debate (in contrast to rejection without accompanying argumentation) as a sign of serious intent and of continuing concern for the future of Marxist-Humanism. Why does the future of Marxist-Humanism require all who care about its future, all who have not given up on its future, to come together in the effort to rebuild an organization capable of renewing Marxist-Humanism by concretizing and developing it as a collectivity? From 1981 until her death in 1987,  Dunayevskaya frequently used the phrase “organizational responsibility for Marxist-Humanism” and similar expressions. Just what does the phrase mean? It does not mean individuals taking on organizational responsibilities. It does not mean individuals taking on organizational responsibilities within a Marxist-Humanist organization. It does not mean assuming responsibility for an organization that calls itself Marxist-Humanist. It does not mean individuals assuming individual responsibility for Marxist-Humanism, i.e., for its ongoing philosophical development. It does not even mean––and this is the pons asinorum of 2009––individuals taking responsibility for the ongoing philosophical development of Marxist-Humanism within a Marxist-Humanist organization. All of these things are good, even necessary, but they are insufficient. “Organizational responsibility for Marxist-Humanism” means that a Marxist-Humanist organization worthy of the name must itselftake responsibility for the ongoing development of the philosophy. Thus the individuals who take responsibility for its ongoing development must do so organizationally, as a collective rather than as an individual task. I want[ ], first of all, to firmly establish that the Self-Thinking Idea does not––I repeat, does not––mean you thinking. Thus the Self-Thinking Idea is not a process that takes place within the confines of an individual’s head. It is the ceaseless development of the Idea itself. Of course, however, it is people who think. Thus the ceaseless development of Marxist-Humanism requires people to be “bearers” of this process. So we seem to be back to where we started. The Self-Thinking Idea does seem to mean you thinking. However, this is incorrect. There is a crucial difference between the self-development of the Idea and the intellectual self-development of the people who carry out this process (which is not to deny the desirability of, and even the need for, both). People are needed to carry out Marxist-Humanism’s ongoing development, but the development of thoughts inside their heads, while necessary for Marxist-Humanism’s development, is not identical to it. In her critique of the Intuitionalist philosophy, Dunayevskaya was concerned above all with the importance of and need for proof. Intuitionalism denies the possibility of, as well as the need for, proof of what is thought to be known about “what is infinite in import.”  With regard to such matters, it holds that the truth can be known immediately, that is, in an unmediated fashion. Such knowledge supposedly does not require the mediation of proof, the process of demonstration. She then quoted Hegel: “A second corollary which results from holding immediacy of consciousness to be the criterion of truth is that all superstition or idolatry is allowed to be truth …. It is because he believes in them, and not from the reasoning and syllogism of what is termed mediate [mediated] knowledge, that the Hindu finds God in the cow, the monkey, the Brahmin, or the Lama.”  In other words, what is wrong with efforts to bypass the process of demonstration is that they allow “all superstition or idolatry” to be taken as true. Marxist-Humanism cannot tolerate this. As we know, if it is not subjected to the process of demonstration, it, like anything else, becomes the dogma of a cult. In the same November 15, 1986 text, Dunayevskaya summarized the “essence” of Hegel’s critique of the Intuitionalist philosopher Friedrich Heinrich Jacobi: “The essence of his sharp attack on Jacobi is that … it is absolutely wrong” to turn back to what was at one time right, the starting point of modern philosophy, Descartes’ “Cogito, ergo sum” (I think, therefore I am). What this has to do with the issue of proof is that, as Hegel notes, Descartes’ conclusion is “not mediated, or proven.”  “[T]he whole attack,” Dunayevskaya wrote, “is very, very deeply rooted against anything, whether Cartesian or Jacobi or Spinoza[,] that roots its philosophy in ‘unproved postulates.’” . She then quoted Hegel’s comment that “philosophy, of course, tolerates no mere assertion or conceit, and checks the free play of argumentative seesaw.”  These things are reactionary: “It is for this that Hegel called Jacobi a reactionary.” And in her letter to Kelly of the next month, Dunayevskaya returned to this theme, arguing that “mere faith” makes retrogression nearly inevitable: “Far from expressing a sequence of never-ending progression, the Hegelian dialectic lets retrogression appear as translucent as progression and indeed makes it very nearly inevitable if one ever tries to escape regression by mere faith.”  “Mere faith,” as we shall see, is a reference to the “faith” or “personal revelation” celebrated by Intuitionalism as “immediate knowing,” knowledge supposedly acquired without a process of proof. Ideas must be proved, subjected to a process of demonstration, in order genuinely to be known to be true. Otherwise, anything can be taken as being known immediately to be true. The nearly inevitable consequence of the latter is that thought, since it has not been “check[ed]” by a process of demonstration, does not develop but, on the contrary, retrogresses into superstition, idolatry, mere assurances, and imaginings. This is so no matter however many “opinions and arguments without norm or rule”  are offered, and no matter how well they may seem to substitute for proof. This, in a nutshell, is why the Self-Thinking Idea does not mean you, or us, thinking. Genuine self-development of the Idea requires continual “check[ing],” continual proving, but the process of proving is obviously not something the thinker carries out on his or her own. The very point of the process is to subject an argument that the thinker regards as proof to the scrutiny of others, in order to see whether it withstands their scrutiny. No proof is accepted on anyone’s say-so. Dunayevskaya is not advocating blind acceptance of the pronouncements of an “authority” or embrace of the tenets of Christianity. To understand why not, we need to recall that for her “the point” of Hegel’s whole critique of the third attitude of thought with respect to objectivity is “the necessity of proof,” mediated knowledge, as against the Intuitionalist claim that “what is infinite in import” can be known without mediation. Unlike the faith of Jacobi’s philosophy, the Christian faith is not the product of immediate, personal revelation, but the result of a process of demonstration. As Dunayevskaya remarked in the mid-November letter, “Christianity … proves itself and has an organizational expression in the Church.” Thus, the authority of the church is the “organizational expression,” the mediated result, of that process of demonstration. Importing this into the secular realm, in particular to the Marxist-Humanist realm, the point is that there needs to be what Dunayevskaya called the “organization of Marxist thought.”  In order for the philosophy of Marxist-Humanism genuinely to self-develop, new as well as existing conclusions need to be checked, subjected to public scrutiny, and demonstrated. In the best case, non-Marxist-Humanists will take part in this process, but at the present time, outside engagement with Marxist-Humanist philosophy and theory proper, to the extent it exists at all, is almost exclusively a matter of “using” arguments and ideas for one’s own purposes or positioning one’s own thinking in relationship to them. the [Johnson-Forest] Tendency … rushed to “conclusions” …. Where Marxist-Humanism now checks before and after each movement from practice also the movement from theory, and measures how we anticipated some of the events as well as created the fabric––the single dialectic in both subjectivity and objectivity ––that was not so when we were a united Tendency in the critical period of 1950–53 …. 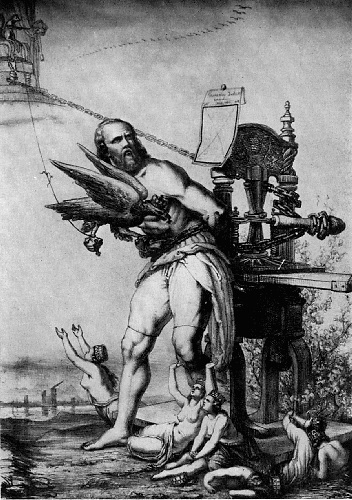 Owing to the necessity for proof, and to the needed organizational responsibility for this process in order to ensure that the Idea develops to its ultimate, ideas simply do not “have wings” in the sense that the self-development of Marxist-Humanist philosophy requires––not even in the best case, and certainly not now. Intellectual production without the necessary public process of demonstration and rigorous scrutiny is insufficient for the continued development of Marxist-Humanism, no matter how many works are republished or new ones are published. And thus we reiterate our urgent call to all those who have not given up on the future of Marxist-Humanism and who are concerned to help it continue into the future. Join with Marxist-Humanist Initiative in a common effort to rebuild an organization capable of renewing Marxist-Humanism by concretizing and developing it as a collectivity. The need for it is great, but time is running out. Raya Dunayevskaya, Rosa Luxemburg, Women’s Liberation, and Marx’s Philosophy of Revolution, (Urbana and Chicago: Univ. of Illinois Press, 1991), p. 195. Raya Dunayevskaya, Philosophy of Revolution: From Hegel to Sartre and from Marx to Mao(Lanham, MD: Lexington Books, 2003), p. 29. In the final chapter of his Science of Logic, “The Absolute Idea,” Hegel wrote that “the material, the opposed determinations in one relation, is alreadyposited and at hand for thought. But formal thinking makes identity its law, and allows the contradictory content before it to sink into the sphere of ordinary conception, into space and time, in which the contradictories are held asunder in juxtaposition and temporal succession and so come before consciousness without reciprocal contact.” Hegel’s Science of Logic, A. V. Miller (trans.) (Atlantic Highlands, NJ: Humanities Press International, 1989), p. 835, emphases in original. A single person owned or controlled all organizational property. In other respects, majority rule prevailed until the fall of 2007. For a discussion of that period, see our April 2009 statement, “Why a New Organization?,” available at http://marxist-humanist-initiative.org/why-a-new-organization/. See Anne Jaclard, “The Concreteness of Marxist-Humanism,” (available at http://marxist-humanist-initiative.org/?s=Concreteness+of+Marxist-Humanism) for a discussion of what is needed in order to concretize Marxist-Humanism. This issue is discussed near the end of our founding “Statement of Principles” (available at http://marxist-humanist-initiative.org/statement-of-principles-of-the-marxist-humanist-initiative/), and in paragraphs C(9), C(10), and E(1) of our By-Laws (available at http://marxist-humanist-initiative.org/by-laws/). See especially Volume XIII of the Raya Dunayevskaya Collection (Detroit: Wayne State University, Walter P. Reuther Library of Labor and Urban Affairs), “Raya Dunayevskaya’s Last Writings, 1986–1987––Toward the Dialectics of Organization and Philosophy.” Some of these writings are discussed below. See Raya Dunayevskaya, Raya Dunayevskaya Collection, p. 10946. The Merriam-Webster Online Dictionary gives the following as definitions of pons asinorum: “a critical test of ability or understanding,” “stumbling block” (http://www.merriam-webster.com/dictionary/pons%20asinorum). See also the discussion of the term’s origin in theEncyclopedia Britannica (http://www.britannica.com/EBchecked/topic/724634/The-Bridge-of-Asses). Raya Dunayevskaya, Raya Dunayevskaya Collection, p. 10839, p. 10878, emphasis in original. Raya Dunayevskaya, “The Self-Thinking Idea in a New Concept of and Relationship to the Dialectics of Leadership, as well as the Self-Bringing Forth of Liberty,” August 1985, Raya Dunayevskaya Collection, pp. 10348ff, emphases in original. Raya Dunayevskaya, Raya Dunayevskaya Collection, pp. 11228ff, emphases added. Kelly, who died in 1987 at the age of 55, was a non-Marxist intellectual historian and political theorist, and a recognized authority on Hegel. G. W. F. Hegel, The Encyclopedia Logic, with the Zusätze: Part I of the Encyclopedia of philosophical sciences with the Zusätze, T. F. Geraets, W. A. Suchting, and H. S. Harris (trans.) (Indianapolis: Hackett Publishing, 1991), p. 123, §77. Raya Dunayevskaya, Raya Dunayevskaya Collection, p. 10832. Raya Dunayevskaya, Raya Dunayevskaya Collection, pp. 10811–12. G. W. F. Hegel, The Encyclopedia Logic, p. 120, §72; Dunayevskaya quoted a different translation. G. W. F. Hegel, The Encyclopedia Logic, p. 122, §76. Raya Dunayevskaya, Raya Dunayevskaya Collection, p. 10812. Raya Dunayevskaya, Raya Dunayevskaya Collection, pp. 11228ff. G. W. F. Hegel, The Encyclopedia Logic, p. 123, §77. Let us bear firmly in mind that the Catholic Church in particular remains the most successful organization the world has known, both in terms of longevity and in terms of its achievement of it own goals. Although there are aspects of the Church’s experience and organizational dynamics that are specific to it, specific to religious institutions, and so forth, some of its experiences and dynamics are ones it shares with other kinds of organizations, and are thus relevant to Marxist-Humanist organization as well. Might it therefore not be appropriate to inquire into the organizational determinants of its success, setting aside other factors in order to isolate common experiences and dynamics, so that we can see what lessons, both positive and negative, we can learn? Raya Dunayevskaya, Raya Dunayevskaya Collection, p. 10788. Raya Dunayevskaya, Raya Dunayevskaya Collection, p. 10811, emphases added. The soundness and salience of Dunayevskaya’s argument, and ours, in no way depend upon whether Hegel’s view of the Christian church as an “actually-existing” organization was in fact correct. The point is rather that there are two radically different kinds of “belief”––one is based on intuition and the other is the result of a process of thinking––and that their differences have to do with demonstration and organization. Hegel discusses the different senses of the word “belief” at some length in §63 of The Encyclopedia Logic. Raya Dunayevskaya, Marxism and Freedom: From 1776 until today (Amherst, NY: Humanity Books, 2000), p. 156, emphasis in original. For more on the notion that “ideas have wings,” see the fourth paragraph of the present statement. When, in my notes on Nov. 7, 1986, I diverted from p. 96 to return to a page of previous attitudes, specifically the Critical, as well as to the 3 Final Syllogisms and, of all things, J’s Notes on the Dialectic, I was really talking in as disorganized a manner as Random Thoughts are generally, rather than following through with the 3rd Attitude as Hegel discusses it on p. 96, i.e. para. 62. There are, after that, para.s 63 to 78 before that attitude is completed. The point is that, beginning with para. 63, the question of Faith and Intuition are too often “subjected to arbitrary use, under no better guidance than the conception and distinctions of psychology, without any investigation into their nature and motion which is the main question, after all.” Hegel insists that if one is going to qualify intuition “as intellectual, we must really mean intuition which thinks …” His whole point, then, (and it continues on p. 98) is that he makes a very sharp distinction between the abstract expression of a “Supreme Being” and Christianity which proves itself and has an organizational expression in the Church. “2) The inseparability of existence from the conception of God: the former is necessarily implied in the latter, or the conception never can be without the attribute of existence which is thus necessary and eternal.” At this point, Hegel footnotes all of Descartes and also Spinoza. Despite the acknowledged gulf between us on the Absolute Method, may I discuss with you (and may I hope for a comment from you?) my latest self-critique on organization? On that question I also see Hegel in a new way. That it is to say, the dialectical relationship of principles (in this case the Christian doctrine) and the organization (the Church) are analyzed as if they were inseparables. All this occurs not in the context of a philosophy of religion as much as in the context of the great dividing line between himself and all other philosophers that he initiated with the Phenomenology of Mind, on the relationship of objectivity/subjectivity, immediacy/mediation, particular/universal, history and the “Eternal.” This addition to the [Encyclopedia] Logic—the Third Attitude to Objectivity—I see in a totally new way. I can’t hide, of course, that though it’s not the Absolute, I’m enamored with that early section of the Encyclopedia outline of the Logic, because it was written after Hegel had already developed Absolute Knowledge, Absolute Idea, Absolute Method. Here history makes its presence felt, by no accident after the Absolutes both in thePhenomenology and in the Science of Logic, as well as in anticipation that he is finally developing thePhilosophy of Nature and the Philosophy of Mind. Indeed, that to me is what made possible the very form of compression of those innumerable polemical observations on other philosophers and philosophies into just three attitudes to objectivity. This time, as we know, a single attitude, the First, embraces everything preceding the modern age. Further emphasis on this compression is evident when Hegel comes to the modern age and includes both empiricism and criticism in the Second Attitude. My attraction to the Third Attitude was not due to the fact that it was directed against those who placed faith above philosophy—the Intuitionalists. (I’m not renewing our old debate, just because I’m an atheist; atheism, to me, is one more form of godliness, without God.) Rather, the attraction for me continued to be the dialectic. Far from expressing a sequence of never-ending progression, the Hegelian dialectic lets retrogression appear as translucent as progression and indeed makes it very nearly inevitable if one ever tries to escape regression by mere faith. Here again, history enters, this time to let Hegel create varying views of Intuitionalism, depending on which historic period is at issue. Intuitionalism is “progressive” in the period of Descartes because then empiricism opened the doors wide to science. On the other hand, it became regressive in the period of Jacobi. It is here that I saw a different concept of organization when it comes to the Church than in all of Hegel’s many oppositions to the clergy’s dominance in academia. Do please follow my strange journey, that I identify as the self-determination of the Idea. In a word, we’re back at the Dialectic and it’s only after that (§76) that Hegel uses the word “reactionary” in relationship to the whole school of Jacobi, that is to the historic period, “The Recent German Philosophy.” “Philosophy of course tolerates no mere assertions or conceits, and checks the free play of argumentative see-saw” (§77). Freedom and Revolution (which word I “borrowed” from Hegel’s very first sentence on “The Recent German Philosophy”) will hew out a new path. In this way I see the dialectic flow in the third attitude to objectivity from a critique of the one-sidedness of the Intuitionalists to organizational responsibility.